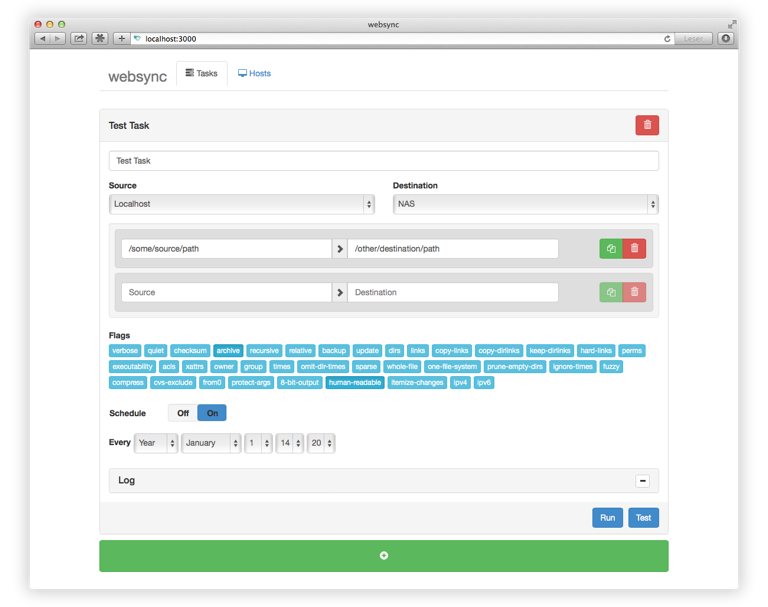 Sander Struijk's websync looks like nice way to manage a bunch of scheduled rsync transfers. This NodeJS-backed web UI lets you set up arbitrary hosts (via SSH) and then schedule transfers between them. Bonus: There is a docker container all ready to go so trying websync out should be pain-free!